Anti-War Marches on Washington DC are on President Obama's menu for Spring Equinox 2010, on Friday March 19 and Saturday March 20 (aka, Aries Ingress) whether he stays at Home on Pennsylvania Avenue or not. American imperialism and aggression overseas will be protested against in the streets of what's supposed to be 'our' nation's capital so we'll see where that energy goes. Perhaps testy instigator Mars in Leo rising is what's being manifested bwo protest marches in the Spring Equinox chart along with the Moon (the people; the public) conjunct Fixed Star Algol, a star of enraged passion and anger. Of course, I've stated my belief here before that violence isn't the best way to effect the changes we want - plus, the US government has well-prepared for our aggression with more of their own through plans to use US military and police forces against us when we're finally fed up with their sorriness and can't take anymore. Seems to me that they continue to aggravate us in the direction of rioting so that martial law can be imposed as a step on the trail to their totalitarian new world order. But as Gandhi said, "There is no path to peace. Peace is the path." Then how many dissenting American patriots will be required to take back our country from global neocons, syndicate bosses, and thieves? Let's see how many fill the Washington Mall and streets for Spring Equinox 2010, then multiply their number by a thousand or more. "Is it altogether a Utopian dream, that once in history a ruling class might be willing to make the great surrender, and permit social change to come about without hatred, turmoil, and waste of human life?" So far, it looks as if it altogether is, especially now when the one-world-government types are thisclose to implementing what they consider to be a 'Utopia' of chaos and regression. Well, it looks like my heart will be evenly divided over the weekend of Spring EQ 2010: split between news of and good wishes for the safety and effectiveness of the Anti-War Protests against US imperialism and the 1st International Astrology Blogathon with its practical solutions for dealing with the Cardinal Cross energies which have now begun to plague the world. 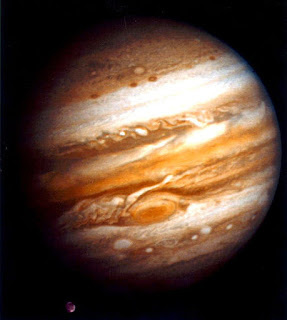 The Astrology Blogathon is an online event set for...you guessed it...March 19 - 21, 2010. See you there if not here! thank you ,thank you for this heads up!! AND...I am so delighted to see that your art will be highlighted although your astrology should also be highlighted. I have always thought of Saturn in Libra as it works actually with people-who has Saturn in Libra and how does this mix with those they are related to? My mother had the Saturn in Libra and so have many long term friends. The mother now passed on and good friends have always functioned as a moral compass for me-they KNOW what is right and what is wrong and if I am confused they can be trusted to help me clarify my direction. The Cardinal Angles indicate action. The situation has moved from discussion and thought and into a "let's DO something about it!" phase. But the very powerful Grand Cross energy associated with the Angles (Mars, Sun/Mercury/Uranus, Pluto AND Saturn? Yikes!) indicate it'll have more power behind it than we first realize. It's a bit like barely tapping the gas pedal and going from 0 to 100 in 2 seconds flat! But, if wiser heads prevail, this can be a good thing. What's wonderful about this is that the "change" desired by the People, indicated by the Taurus Moon in the 11th House, is being given both support and opportunity via the sextile to Uranus. And they can take the energy of the square the Moon makes to Neptune/Chiron and create an Event to express their disappointment, hurt and disillusionment. 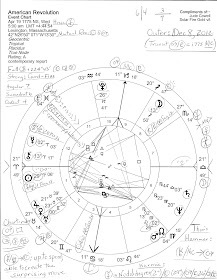 Of course, the identity of the Event, the Sun, although conjunct Mercury and Uranus and posited in the most public place in the chart on the Midheaven -- no Media Blackout this time! 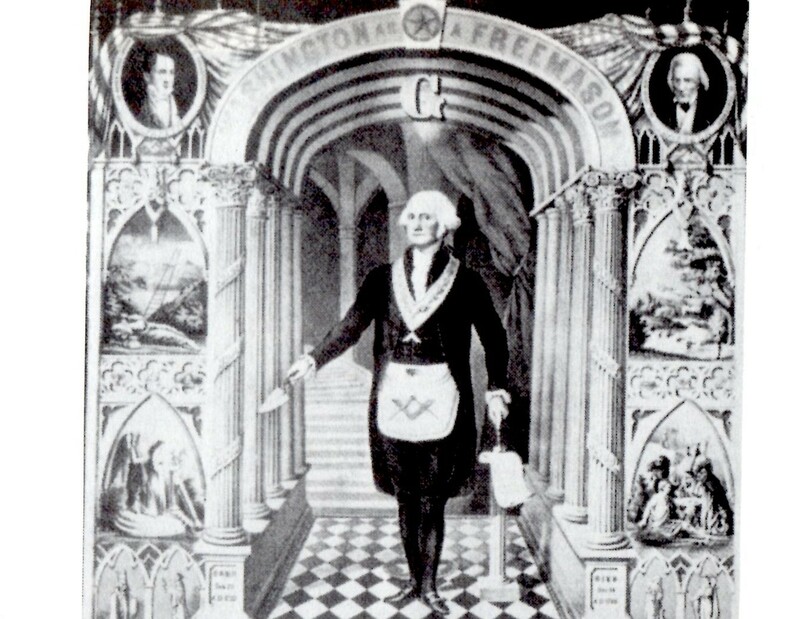 --, is also one of the focal points of the aforementioned Grand Cross. So, will there be "change"? Cardinal Energy is all about Beginnings. Finding our feet. Expressing ourselves. Getting the ball rolling. But that South Node on the Ascendant drains the chart. We'll yell and shout, but I doubt we'll we move forward with our "goals". Especially those involving the sense of security we feel for our families (Cancer Ascendant). The Revolution is being conceived with this chart, not born. With Mars rising and both ruler of as well as trine the Sun, Mercury and the Midheaven and sextile Saturn, there will be a surprising amount of anger, though. And it'll be loud and insistent, determined and pissed off. And, because of the trine and Mars' Direct Station, there will be a bottomless pit of energy to draw from. And trust me when I say that that Mars in Leo is going to LOVE over-dramatizing after all that time spent spinning his wheels in retrograde. Furthermore, this Mars is in a Yod with Saturn and Neptune/Chiron, so a conscious, dedicated, determined (Saturn) output of energy (Mars) to express our frustration, hurt and disillusionment (Chiron/Neptune) is Fated. Mars' sextile with Saturn also indicates the opportunity to build a movement which forces those in Power to sit up and take notice. But it's an opportunity. Sextiles guarantee nothing. You gotta pick up the shovel and get to work. Still, if the WH assumes it'll be a day or two of noise -- something The One can easily ignore from his leafy perch at Camp David or calm with yet another professorial, slightly condescending speech --, they're in for a bit of a surprise. Not that I would call this an "angry chart". This is a step toward those events we'll see later in this decade. Besides, we can learn a lot with this Ingress Event. With that Moon in the 11th, we'll feel at home in the Group and come to realize there really is power in numbers. With the North Node in the 6th and on the Descendant, we'll recognize the need to work (6th House) together (Descendant). And with the 11th and 6th/Descendant in the spotlight, there's also the need to work (6th) to create an organization (11th) with common goals. With the Sun/Mercury/Uranus on the Midheaven, we'll hopefully take advantage of our very Public Power (Sun on the Midheaven) and attention from the Media -- New (Uranus) and Old (Mercury) -- to help others understand they're not alone in their frustration. With Venus ruling us (via the Moon in Taurus) and in the Public 10th House, I doubt those who take part will be seen as rowdy hippies making trouble. In fact, I think many watching from around the country and the world will find their energy, passion and goals attractive!